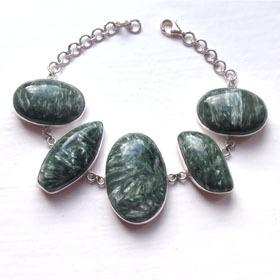 Seraphinite Jewellery set in sterling silver. 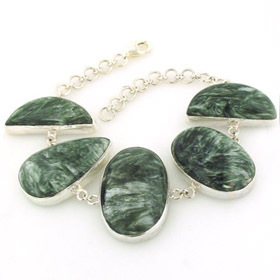 Sterling silver is the perfect medium for seraphinite. The stone is a rich forest green with silver feathering making an involved patterning through it. Here are searphinite bracelets and pendant to whet your appetite.